What if I miss a dose of Cleocin T? MISSED DOSE: If you miss a dose, apply it as soon as you remember. If it is near the time of the next dose, skip the missed dose. Use your next dose at the regular time. Do not double the dose to catch up. SIDE EFFECTS: Burning, itching, dryness, redness, oily skin or skin peeling may occur. If any of these effects persist or worsen, notify your doctor or pharmacist promptly. Remember that your doctor has prescribed this medication because he or she has judged that the benefit to you is greater than the risk of side effects. Many people using this medication do not have serious side effects. A small amount of this medication may be absorbed into your bloodstream and may rarely cause a severe intestinal condition (Clostridium difficile-associated diarrhea) due to a resistant bacteria. This condition may occur while receiving treatment or even weeks to months after treatment has stopped. Do not use anti-diarrhea or opioid medications if you have the following symptoms because these products may make them worse. Tell your doctor right away if you develop persistent diarrhea, abdominal or stomach pain/cramping, or blood/mucus in your stool. A very serious allergic reaction to this drug is unlikely, but seek immediate medical attention if it occurs. Symptoms of a serious allergic reaction may include: rash, itching/swelling (especially of the face/tongue/throat), severe dizziness, trouble breathing. This is not a complete list of possible side effects. If you notice other effects not listed above, contact your doctor or pharmacist. In the US - Call your doctor for medical advice about side effects. You may report side effects to FDA at 1-800-FDA-1088 or at www.fda.gov/medwatch. In Canada - Call your doctor for medical advice about side effects. You may report side effects to Health Canada at 1-866-234-2345. If you need to take prescription medication such as Cleocin T over an extended period, buying a larger quantity could save you time and money. Many drugs, including Cleocin T work out cheaper per pill or dose when purchased in volume. Speak to your doctor about increasing the your prescription and you could pay less for drugs and need fewer trips to the pharmacist. Drug prices are not regulated, so the price Cleocin T of medication may vary significantly between your local pharmacies. Online pharmacy comparison shopping is the simplest way to quickly discover which retailer has the lowest prices for your prescriptions. Enter the name of your prescription, for example Cleocin T, into the search box, add the zip code and click to browse prices and coupon offers. When you have found the cheapest price, print or save the coupon and and take it in to your chosen pharmacy. Comparing prices can save you up to 75 percent on your prescriptions. Patient assistance programs offered by drug manufacturers can help you save money on your prescriptions. 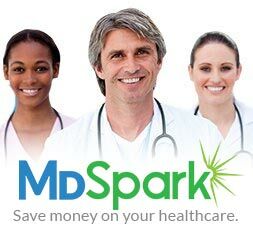 Many drug manufacturers have such a program, offering discounts to eligible patients who are prescribed Cleocin T. Patients prescribed expensive or branded medication may qualify for discounts through such programs. Cleocin T and other branded drugs often have a generic equivalent on the market at a significantly lower price. Generics account for around 8 out of 10 prescriptions filled in the US and are identical their brand name counterparts in quality, safety, strength, dosage form, route of administration, performance characteristics and intended use. Talk to your pharmacist or doctor about safe generic alternatives to your branded prescription. Seniors with Medicare Part D may be entitled to discounts on Cleocin T and other prescriptions through their policy. The list of drugs covered varies from plan to plan, so check your provider’s website for more information.